Being our most authentic selves, in every single moment of living, always being true to ourselves, figuring out what's right, in every moment, and living by it mindfully. It is knowing ourselves so well, we can communicate clearly with others and create meaningful relations in all spheres of life. It is respecting ourselves so deeply that we are able to peacefully and calmly state our limits and ensure they are being respected so that we can, in turn, more readily and generously trust and give to others. It is knowing we will see things for what they truly are, without judgement, and with that insight, to completely trust ourselves to do what is right to ensure our safety, health and well-being, to peacefully protect ourselves, others and those we love in the face of those who may wish us harm. It is through learning by observing ourselves, others and our interactions together, seeing what blocks us from becoming our truest and strongest selves and figuring out how to overcome our deepest struggles, challenging life events and innermost fears so that we may rise and live, to the fullest, with purpose and passion. 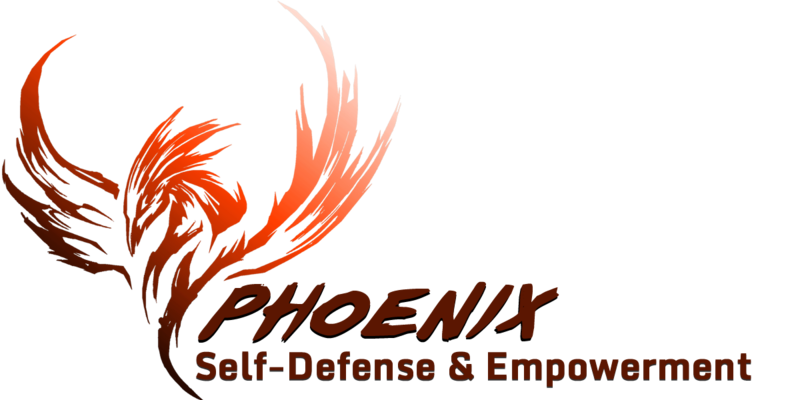 When I realized the Phoenix was to be our symbol, I asked Kevin Secours--who beyond his absolute mastery of martial arts, self-defense and defensive tactics, is a wonderful artist on so many levels--if he would be willing to draw our Phoenix. This Phoenix is so much more than a symbol… It is the absolute embodiment of healing, rising and self-empowering, for everyone who has and wishes to share their journey to true self-hood and -empowerment with us! I am so beyond words grateful to you for so beautifully and all encompassingly capturing the essence of what we so deeply aspire to create, share and inspire... Thank you, more than I could ever say, for your constant support and unwavering encouragement to see me be and give my best. Here’s to our friend and business-ships always rising to new heights! …who have supported, encouraged and been with us over the years and to you who will join us and share your journey with us, I hope this symbol, filled with deep and powerful meaning, will always inspire you to pursue your path to your wisest, most powerful and fiercest self! Here is to RISING , always and forever, all of us together!